Looking for an insulation contractor that stays up to date on building science, installation trends and product developments? Want to be sure the contractor you hire has trained, qualified installers on their team? Look no further! 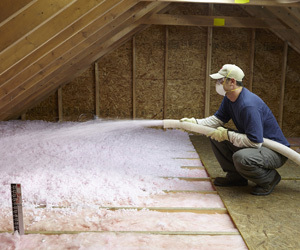 Delmarva Insulation is an Owens Corning Certified Energy Expert. The Certified Energy Expert distinction is extended to a very select group of insulation companies. Certified Energy Expert insulation contractors offer their customers a limited lifetime warranty on product and an exclusive 10-year limited warranty on labor. This is a warranty not offered by other insulation manufacturers. This certification ensures new home builders receive the best technical knowledge, service and warranty available in the industry. Why choose a Certified Energy Expert to insulate your next construction project? Hiring a Certified Energy Expert gives you, a new home builder, peace of mind you are choosing an insulation contractor with the highest technical skill and is backed by the strength of Owens Corning. Certified Energy Experts are chosen in part based on their solid reputation as a reliable and trustworthy company. Want to learn more about the Certified Energy Expert warranty and get a quote on your project?Click here to Contact Us. © 2019 Delmarva Insulation. All Rights Reserved.